A participant in the Plaza Dances, one of the Chiro Kachinum (Bird Kachinas), the Great Horned Owl wages “war” on the clowns for their boisterous, uncouth behavior, contrary to the Hopi Way. At the last performance, he is joined by the Warrior Kachinas who leap upon the clowns, leaving them howling in remorse. 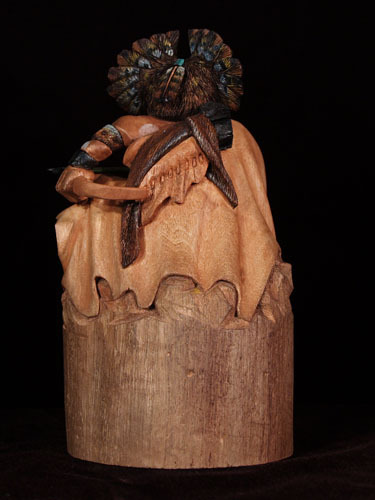 The Owl also is a messenger who comes to warn the village of bad things to come when they stray from the Hopi Way, much as he does the clowns.